Doc Jams Printer Repair, Toner & Supplies offers new and used printers as well as other office equipment you may need, including fax machines and copiers. Doc Jams can get you in the printer of your dreams. When new is too expensive and used is too junky, Doc Jams also offers refurbished printers. 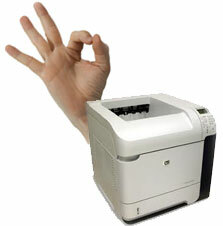 These machines are offered with a full toner set and full warranty. Contact Doc Jams to find a machine that will fit your office, and your budget. We currently have a few models just waiting for you. Call 608-210-3090 or fill out the form to the right for answers to all of your certified preowned printers.